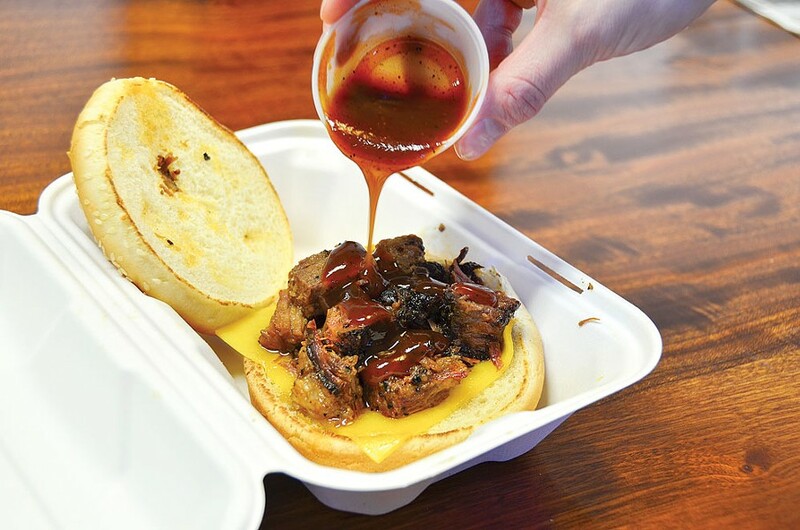 Photo by Drew Hyland Kiddie-sized burnt ends sandwich at Humboldt Smokehouse. Photo by Jennifer Fumiko Cahill Order up at Mad River Brewing Company. Photo by Drew Hyland A cookie worth its salt at Ramone's. Does a baby really need candy? Of course not. So what's wrong with taking it? Go ahead and order off the kids' menu. You know that deviled egg recipe your aunt is so stingy with? Nobody wants it anymore. Instead we'll be trying to recreate the one at Humboldt Smokehouse (310 Fifth St., Eureka), topped with house-smoked bacon or pork belly, barbecue sauce and green onions ($1, $1.50). They have the tiniest bits of tart pickle to balance the richness and, as my companion pointed out, they would be perfect with a cocktail. Which is weirder, bringing your martini into a barbecue joint, or bringing your own hors d'oeuvres to a bar? My only complaint about the joint is the staff's inability to save me from myself. Because as delicious as it is, the Cincinnati burnt ends sandwich — piled with smoky chunks of meltingly fatty beef brisket — is too much for me to finish comfortably and too good for me to choose comfort ($10 with a side). The children's sandwich, however, with half the meat — still a solid fistful — and a slice of smoked cheddar on a sesame bun, is just as delicious, but doesn't leave me incapacitated ($4). Is this really a child's portion? Michelle Obama may disagree, but if she tucks a napkin into her cardigan and takes a bite, she won't stay mad. Down on the bottom shelf of the cookie case at Ramone's (209 E St., Eureka) are the kiddie treats — animal cutouts sprinkled with sparkly sugar and such. Up top is where they keep the chocolate drop cookie sprinkled with sea salt ($1). 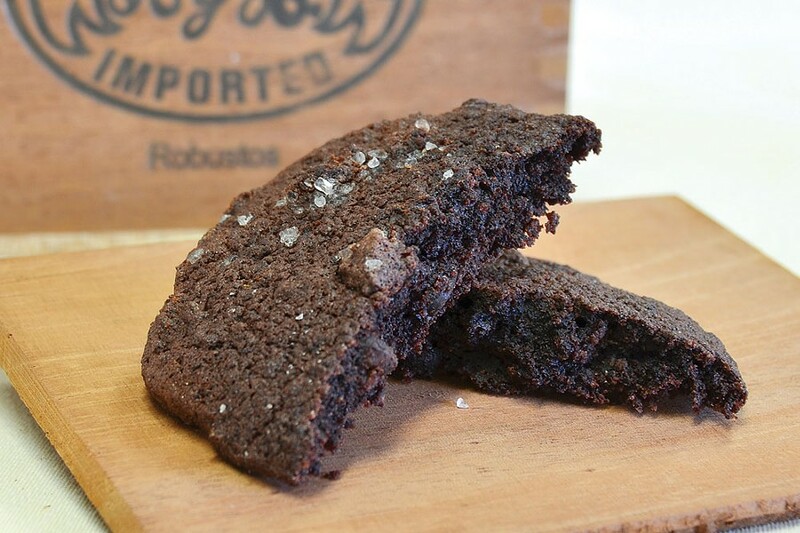 It's dark, brownie-soft, lumpy with chocolate chips and falls apart a bit. Don't try to dunk it; that will only end in tears. The salt — a few coarse crystals on top — brings the butteriness and sweetness into relief the way it does in fancy caramel. Don't pretend you're over salted caramel. Nobody is buying it. This is not a cookie for the kids. Sure, you could broaden their palates, expose them to sophisticated flavors, blah, blah. Or you could keep this one thing for yourself. After all, you vote for things other than American Idol. You deserve a cookie. So when they give you the puppy eyes and ask what you've got there in your little paper bag, look the kids in the eye and tell them that just like swearing, black coffee and The Walking Dead, it's for grown-ups. Some of us can be made happy with breaded fish and chips, but not all. There are those of us who must have a caramel-colored shell of batter to crunch through — one that doesn't slide off the fish or disintegrate with a splash of malt vinegar. Now that Mad River Brewing Company's Tasting Room (101 Taylor Way) has opened its kitchen, such a thing can be had in Blue Lake. 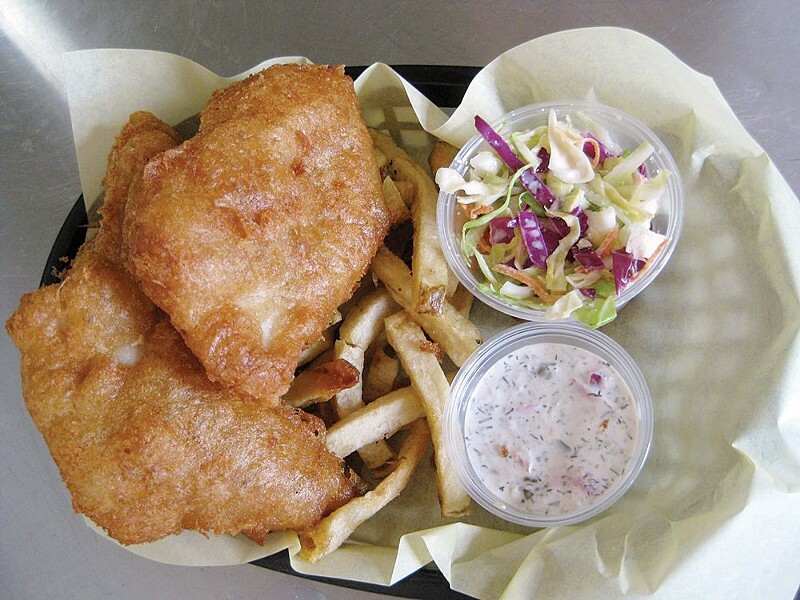 On a recent visit, the beer-battered seasonal fish, chips and slaw ($9.99), was made with Indonesian catfish. Settle down, purists. Cod is lovely, but catfish is firm and flavorful, too, and it withstands being picked up and dipped in the dilly house tartar sauce flecked with pickled red onion. That sauce alone could convert anyone — you'll be dipping fries in it, too. The menu also has a section called "Kids at Heart," which makes it a little less embarrassing to order up a crisp, buttery, plain grilled cheese sandwich ($3.25).